Tim Leberecht is a "business romantic". But what exactly does that mean? And why is it so important for the future of work? When I first heard about The Business Romantic Society, I was intrigued. It sounded like such a nice concept, especially as we rocket further into the automated future of the working world. With so many thought leaders, experts and other key influencers within the future of work space, many are scrambling to talk about what the future of work really means. Most of the information is about automation and whether or not robots will take our jobs, while other experts are focusing on the skills we need to progress in the future. In a similar vein, Tim Leberecht is the co-founder and CEO of The Business Romantic Society, a global consulting network focused on building soulful companies. The development of the think-tank was sparked off the back of a faux cult-style call to action at the end of his book The Business Romantic, asking readers to apply for membership to his new secret society. “It was tongue in cheek, but I began to receive emails immediately, hundreds of them, which encouraged me to start the society for real,” said Leberecht. It began as an informal network of kindred spirits and eventually became a company. On a personal level, Leberecht spent his earlier years striving for that perfect balance between logic and creativity. He studied law first before dramatically pivoting his career into music, releasing two albums – though sadly without much commercial success, he admitted. “[Then I] went back to earning a degree in cultural studies, before finally ending up in marketing, which struck me as the one discipline that would allow me to best combine my divergent interests,” he said. Leberecht believes that romanticism is an essential ingredient to the future of work despite being stereotypically at odds with the serious side of business. For a lot of people, the future of work is about AI, technology and big data, and Leberecht agrees that these are guaranteed to be key aspects of the future working world, especially with large-scale automation of tasks. He said entire segments of the job market will morph into digital labour “affecting not just truck drivers and factory workers but also travel agents, stock brokers, notaries and even creative workers”. However, crucially, this will not be a zero-sum game as some predict, where new hybrid jobs will make up for the loss of traditional jobs. Instead, manual, imaginative, and relational work by humans will gain in value. This includes jobs such as nursing, caregiving, coaching, therapy or parenting, which Leberecht noted includes a lot of work currently done by women and has, to date, been largely underpaid. Are we prepared for romance? We’ve already heard snippets of advice telling us that the characteristics that make us uniquely human, such as creativity and imagination, are what are going to help us thrive in the future of work. But this way of thinking is at loggerheads with the traditional model we’ve all been used to with super-quantified firms that favour speed, efficiency and data. However, Leberecht is optimistic about society slowly moving away from the belief that the hyper-connected work model is the only option. “Efficiency is no longer the one overriding principle, and self-optimisation and productivity-at-all-cost have made way to work cultures that emphasise real emotional authenticity (not just ‘transparency’) and deep human connection beyond fancy perks and superficial camaraderie,” he said. Leberecht also believes that while creativity is a key human skill, even that could one day be automated, at least from a creative problem-solving point of view. Therefore, it is our human feelings and emotions, those which remain unique and mysterious to AI, that we must focus on. “Machines will do everything that must be done efficiently more efficiently than we can,” he said. “Our brains will be hacked and computerised, our bodies will become smart and enhanced (with more than just one body at our disposal and ultimately leading to immortality, if Silicon Valley gets its way), but our feelings will remain mysterious, ambiguous, complex, and brittle. The thought of focusing on our emotional intelligence can be both terrifying and exhilarating in equal measure. It means that which makes us human will make us thrive and that’s great news. However, it also relies on the work models we know so well to adapt and prepare for this new, more romantic society while still embracing all the data and AI that will naturally come with the future of work. Finally, Leberecht directed his attention to the individual. “We can subvert or overtly disrupt corporate protocol and constantly question the status quo. We can make our desires heard and reward human-centered companies with our loyalty [and] full selves; with our time, commitment, and – as consumers – our money,” he said. 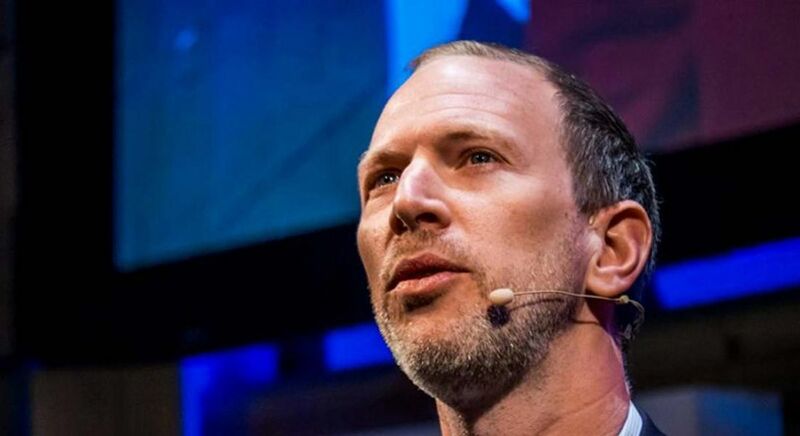 Tim Leberecht will be speaking at Inspirefest, Silicon Republic’s international event connecting sci-tech professionals passionate about the future of STEM. This article appeared originally on SiliconRepublic.